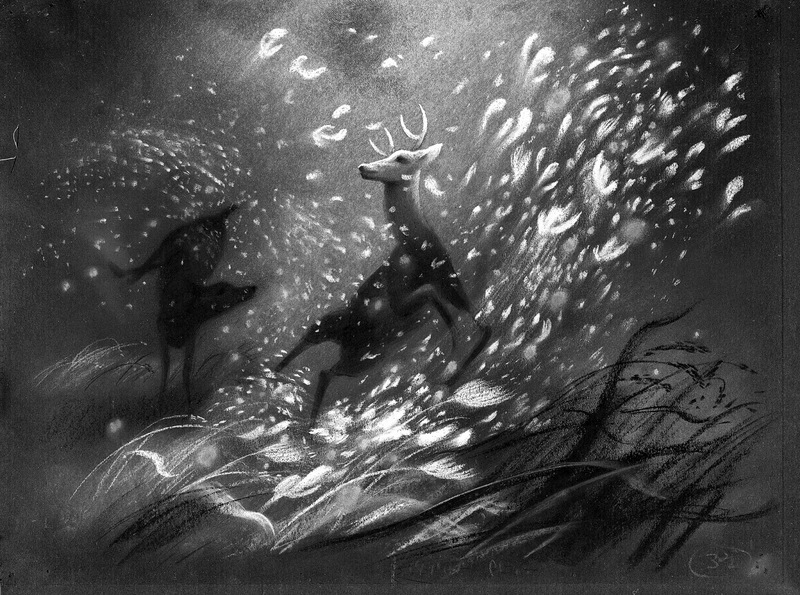 Your guess is as good a mine, as far as who drew the beautiful sketch above. Perhaps Frank Thomas, but I am not sure. Doesn't matter, it is obvious that the artist had a lot of affection for these characters. 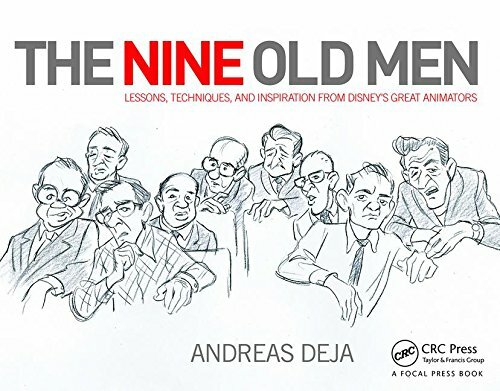 As did everyone else who was involved in the production. 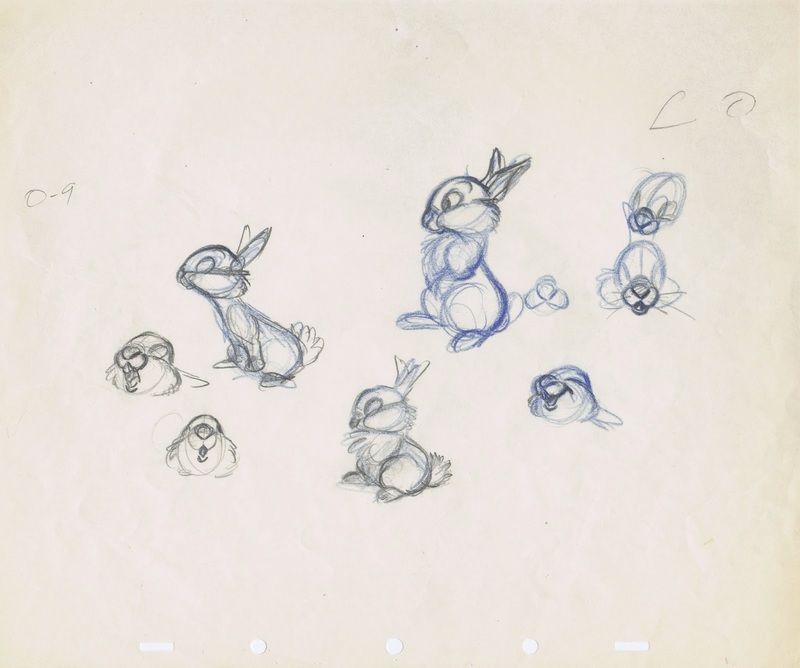 Milt Kahl drew these appealing studies of Thumper, and I think that a couple of poses represent the cutest application of squash and stretch ever. 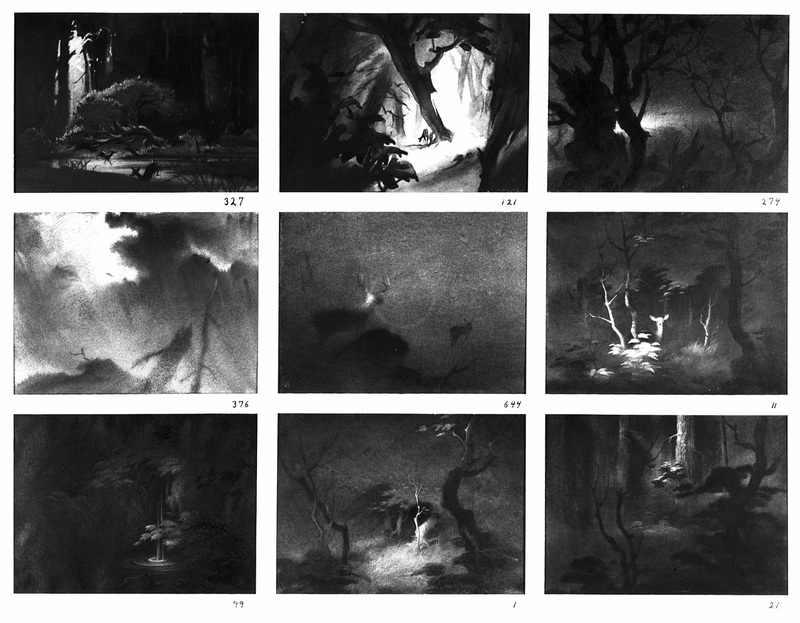 Just like the films that preceded Bambi, there were a number of art directors involved in creating the look for the movie. And they all shared one thing with Rembrandt, a mastery of the use of light. Absolutely breathtaking! 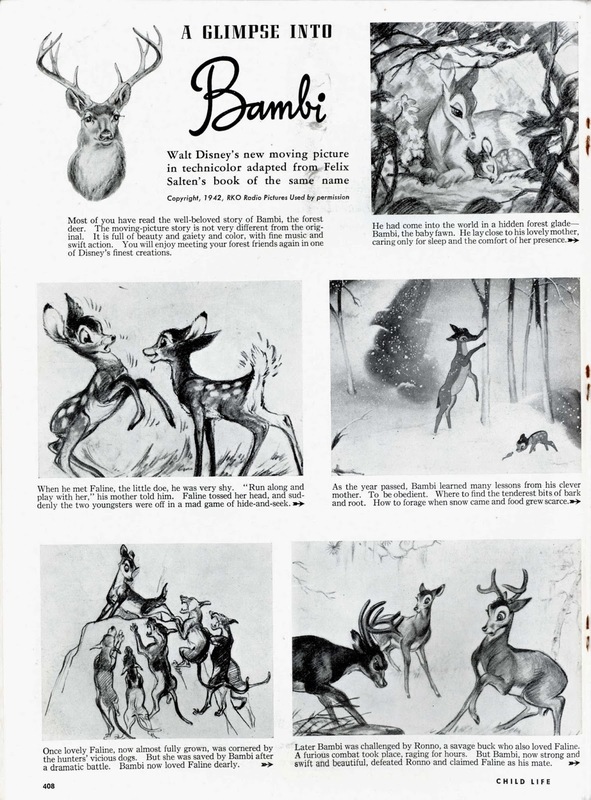 This is a magazine article from September of 1942 that promotes the film by showing mostly sketches. 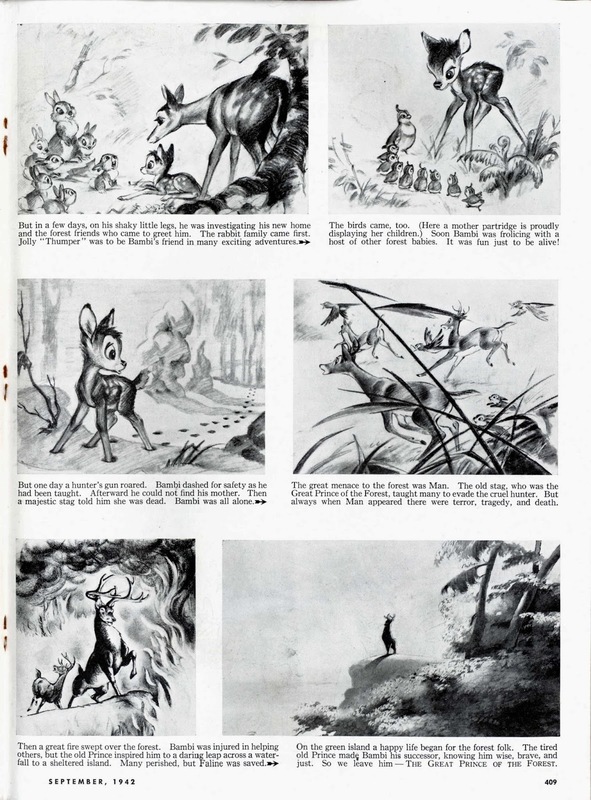 Frank Thomas and Milt Kahl created layouts for some of the illustrations. 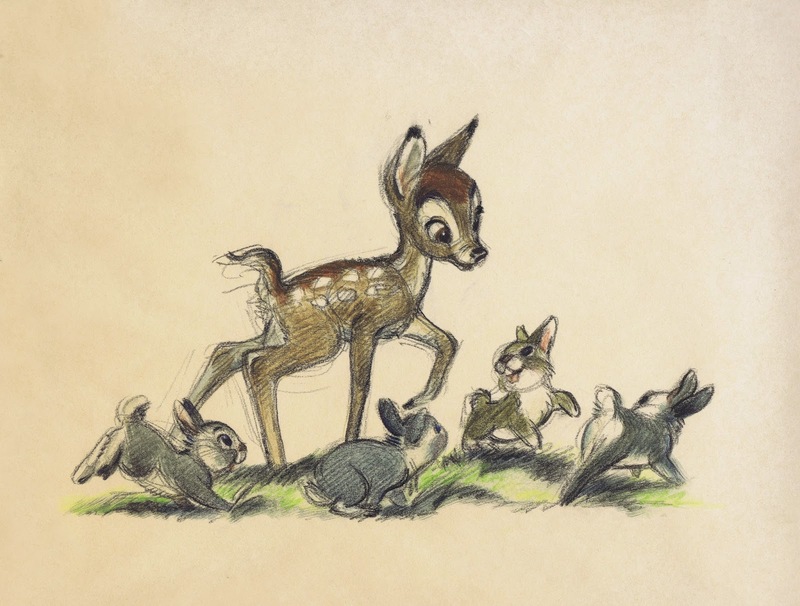 (Young Bambi meeting Feline is a Marc Davis drawing).